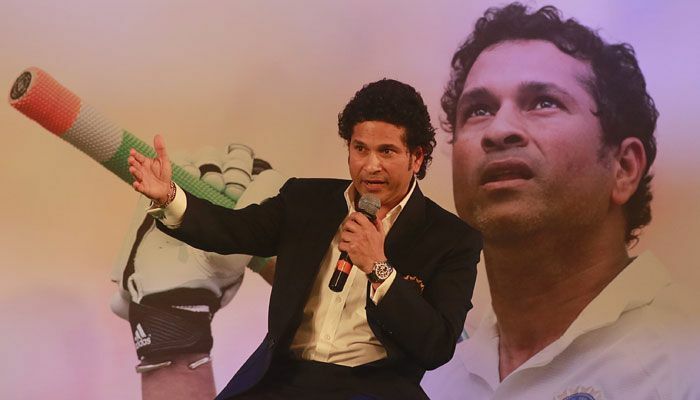 Sachin Tendulkar's fans were in for a surprise when the crucial life moments of India's cricket legend were illustrated through 'Unknown Sachin Tapes' session during the Times Literature Festival in New Delhi on 28 November. Many of the moments revealed yesterday were not known to Tendulkar's fans who found a way to relive the memories of the master blaster. The memorable vignettes of his storied career were played out - some in Sachin's own words, some shared by Boria Majumdar, co-author of Tendulkar's autobiography 'Playing It My Way'. One of the moments shown in the tapes was when Sachin had announced his retirement two years back at Mumbai's Wankhede stadium. India's god of cricket was sitting alone in the dressing room when Virat Kohl walked in and gave him a pouch that contained some religious threads. While giving the pouch to Tendulkar, Kohli said: "I want you to have this. It was given to me by my father. I am giving this to you." Then Virat touched his feet and Tendulkar replied, "Arre tujhe toh galey lagna hai (Hey, we should be hugging instead)." A teary-eyed Virat pretended not to hear and continued, "I will miss you." Another tape revealed that Sachin had a chance meeting with former Australian captain Ian Chappell at a gym in Durban few years back. At a time when Tendulkar was struggling in his career, Chappell had written that the batsman should have a look in the mirror. 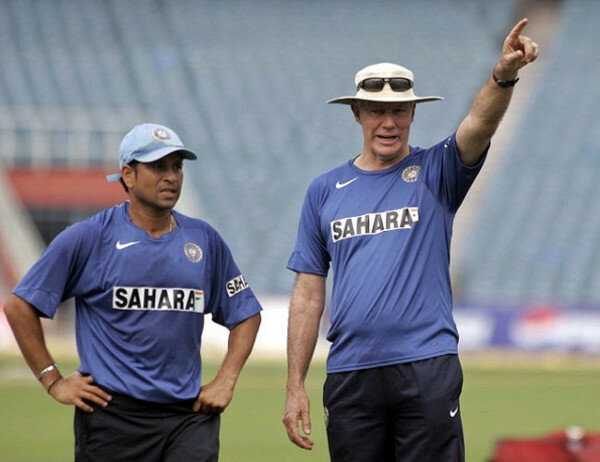 Seeing Tendulkar sweating it out in the gym, Chappell said, "So this is the secret." To which Tendulkar, who was still livid with his comments, replied: "You guys conveniently change your tone. Your brother (Greg, ex-India coach) created all the problem. He took Indian cricket at least five years behind." Tendulkar has been known to be painfully politically correct throughout his career but the tapes reveal an opinionated, driven cricketer deeply obsessed with his craft, one who never cut corners and never expected anybody else to. This is probably why Tendulkar still sounds bitter about his perceived failures as captain, saying, "First time I was captain I felt there wasn't enough support from the selectors." In a candid segment of the session, he spoke about the pain of his tennis elbow injury. Tendulkar revealed that at times he would chew painkillers instead of swallowing them, expecting that they would work better. Once he called up his wife Anjali from the hospital and told her, "Get a video camera. You have never seen me in so much pain." Apart from cricket, there was a special moment that was brought to life during the session. Tendulkar revealed that a child, who was suffering from cerebral palsy, got up and played out three deliveries with his bat before relapsing into a state of paralysis again.